March on! Beading Divas to the Rescue is excited to be fundraising with Hermitage No-Kill Cat Shelter and Sanctuary. 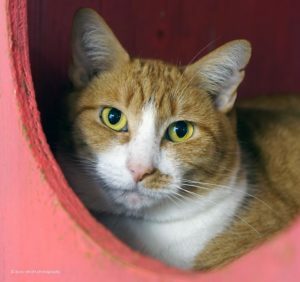 For more than 50 years the Hermitage has been dedicated to the shelter, protection, and care of homeless cats, especially those that are often not considered adoptable by other organizations. Slinky has been with us for three years. The reason for her long stay is she is a very shy girl. With so many very outgoing kitties in the FIV Room, Slinky is easily overlooked. However, there is a sweet, loving girl inside her nervous exterior. Approach Slinky quietly with a little sweet talk and she will allow a few pets. As she gets more comfortable, you will see that sweet soul begin to shine through. Slinky loves back scratches which will start up her purr machine. Slinky needs a forever home that will be patient with her & give her time to show her true colors. As an FIV+ kitty, Slinky qualifies for our Lease for Life program. 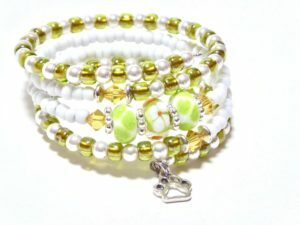 Buy bracelets online; they are shipped worldwide via Etsy (large selection); postage is based on destination.